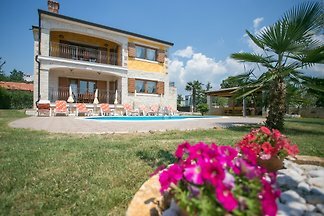 If you want to experience nice and relaxing vacation near the sea this villa is the best choice for you. Very nice tasteful villa with pool and beautiful garden. Holiday home "Nevena", lots of sun and lots of peace. Guests have their own private life and good opportunities to rest and enjoy. 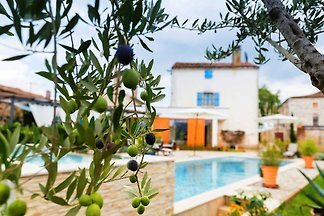 Newly renovated holiday home with a large private terrace, swimming pool and garden. Apartment Petra 1 on the ground floor of the family house opposite the pool. Total living area of 60 sqm for 3-5 persons. from 5 1 holiday homes & accommodations in Zbandaj were rated with an average of 5 out of 5 stars ! 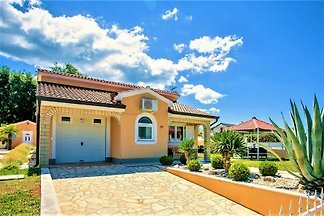 Rent successfully your holiday flat or holiday home in Zbandaj in only 20 minutes !